Please join the Newnan Junior Service League in celebrating this holiday season by participating in our community Luminaria event! Help us “Light up Newnan” on Sunday, December 16th, and transform our neighborhoods with a beautiful display of holiday spirit! All neighbors are encouraged to participate by placing illuminated white bags in front of your home, driveway, sidewalk, and/or entryway beginning at 6:00 p.m. Proceeds will benefit our annual grant recipient. 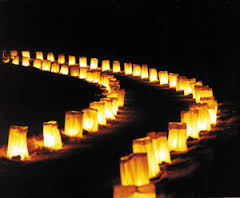 If you are interested in participating, you can STILL purchase luminaria kits from the Newnan Junior Service League for $12 at NFUMC on Dec. 15th from 9am-2pm. Each kit includes: 12 candles, 12 white paper bags, 12 votive cups, and sand. 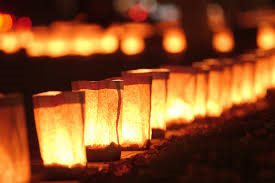 All luminaria kits purchased can be picked up on Saturday, December 15, 2018 at Newnan First United Methodist Church located at 33 Greenville Street in downtown Newnan. For additional information, please contact Millie Smith and Coleen Phillips at njslluminaria@gmail.com.